Documents seen on the Federal Communications Commission reveal an unannounced handset from Pantech for Verizon Wireless. The Pantech Perception is a monoblock Android smartphone that the FCC confirms supports LTE 4G in addition to CDMA and GSM for roaming, and Wi-Fi and Bluetooth. The FCC also confirms that the Pantech Perception includes NFC, and images show an 8-megapixel camera with flash on the rear of the device. The draft user manual refers to other features such as microSD card support, Wi-Fi Direct, HFMI, and DLNA, though these are not confirmed. Based on screenshots, the Perception runs Android 4.x. Neither Pantech nor Verizon Wireless has announced the Perception, and pricing and availability are not known. The Pantech Perception is a good mid-range Android smartphone for Verizon Wireless that offers a lot of bang for the buck, including LTE 4G, an HD display, and an 8-megapixel camera. 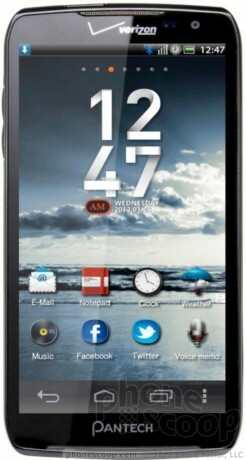 Verizon Wireless today announced that the Pantech Perception, a global Android smartphone, will go on sale beginning April 25. According to Verizon, Motion Sense is the Perception's stand-out feature. Park Byeong-yeop, the vice chairman of Pantech, announced today that he will resign from his post. Park founded Pantech in 1991 and served as its leader for more than a decade.